4/17/2019 from 6 P.M. - 8 P.M.
Danny Frank Hogan was born in his grandparents’ house on their cotton farm in Caddo Mills, Texas on August 2, 1945 near the close of World War II. The Lord brought him home on a beautiful Palm Sunday morning, April 14, 2019 in Dallas, Texas at the VA Hospital from the critical aftermath of a stroke. He was preceded in death by his father, RJ Hogan and mother, Violet Nell Causey. Visitation will be Wednesday evening at Coker-Mathews Funeral Home, Greenville, Texas from 6-8 pm with Danny’s celebration home-going service, 2pm Thursday at his home church, Highland Terrace Baptist Church, Greenville, Texas. Burial will be in Wolfe City, Texas at Mt. Carmel Cemetery. The service will be officiated by Dr. Chet Haney and Rev. Larry Jordan. Grandson, Cade Hogan will play his guitar in the service. Pallbearers will be his sons, Cory Hogan, Cody Hogan, Chad Hogan, Bud Elliott, son-in-law, Michael O’Brien, and grandson, Erich Hogan. Honorary pallbearers will be long-time friends and veterans, Tom Cates and Frank Green along with church friends, Gary Greenwood, Jerry Bench, Amos Lowry, Richard Hardy, Don Williams and long time family friend, Jimmie Dailey. Highland Terrace Baptist Church in Greenville, Texas is where this part of the story begins and has its closing for Danny. Here it was where Danny met Sharon Foran Elliott in the Singles Class and started their lives together on June 7, 1993, to expand their family life with Danny’s three boys, Cory, Cody and Chad with the addition of Sharon’s son, Christopher “Bud” Elliott and daughter, Johnna Lynn Elliott. God has blessed their lives in abundance! The total tribe has enriched every part of family. Now it stands as: Cory and Jenifer Hogan, Cody and Kristen Hogan, Chad and Stefanie Hogan, Bud and Naomi Elliott, Michael and Johnna O’Brien. Grandchildren: Malie Hogan, Allie and Andrew Hogan, Cade, Erich and Daniel Hogan, Cruz and Costas Elliott and Eliza O’Brien. Danny was blessed with his older brother and his family, David, Wanda and Shellie Hogan. Much more of the family has included Danny’s remaining family members all around this area of northeast Texas along with Sharon’s parents, siblings, sister and brothers-in-law, nieces, nephews and their tribes along with a family additions of an adopted grandfather and a special Wolfe City neighbor granddaughter. Danny’s faith and family have always been the cornerstones of his life and held his highest affections and commitments. His character was brightly seen wherever he went, wherever he served and wherever he worked. Growing up on a cotton farm he learned strong ethics of work, integrity, and faithfulness in executing what needed to be done in a timely manner and done to the best of his ability. 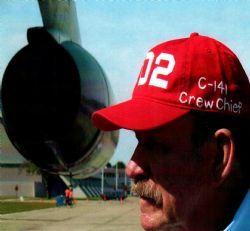 Following the chain of command was learned at home but continued into his military life as a crew chief over the intricacies of a C-141 cargo plane loaded to assist the efforts in Viet Nam, managing a Cotton Gin Co-op for many years and being the Director of Transportation and Maintenance for the Wolfe City ISD facilities, buses and property care. He followed well but he also led well. He spent most of his adult life serving as a deacon in the local churches of his community. It wasn’t just doing what was expected but he gave over and beyond. Everywhere Danny went people felt his deep kindness, friendship, trustworthiness and humble sincerity. As “GranDanny” many of these years, today, he is celebrated as husband, dad, stepdad, grandfather, friend, veteran, loyal job leader, co-worker and most importantly, a well-loved Son of the King.